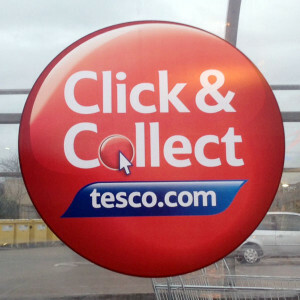 Tesco Direct announced yesterday that it will be bringing in a charge for small ‘click and collect’ orders. This will begin from ‘early February’ and was presumably inspired by the decision of John Lewis to do the same thing. Once it starts, you will be charged a £2 delivery fee for ‘click and collect’ orders under £30. Orders above £30 will continue to be delivered for free. Tesco Delivery Saver customers (you can currently get a one month free trial) only need to spend £10 to receive free ‘click and collect’ delivery. To be honest, I am happy to pay the £2 if necessary. There is a Tesco Express about two minutes from my house, and before Christmas it was far easier to pick up orders from there rather than worry about whether or not someone would be at home to receive a parcel. The convenience is worth the small fee. This was one benefit of ordering from direct, collecting from a local store locally for free for relatively small cost items. It makes taking up their grocery delivery saver programme even more attractive now with free direct deliveries to your door or store, free delivery on wine and clothing. I’m waiting for the next promo to be offered before taking up another year of the saver programme as we paid £15 for a year of mid week grocery deliveries, it paid for itself in 5 weeks just on groceries.